Food researchers pored over thousands of health claims for various food items and found only 222 that were judged to have basis in scientific fact – and from these they have concocted a menu that is being hailed as the healthiest ever. It was created by Leatherhead Food Research, an independent British research center for food science, using the 222 health claims labeled as proven by the European Food Safety Authority. Leatherhead CEO Dr Paul Berryman challenged his team of scientific, regulatory and marketing experts to devise a meal that could incorporate every claim. 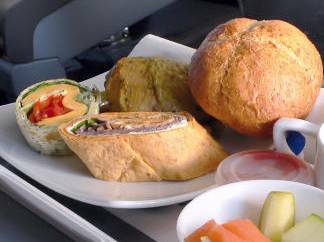 It took one week to meet the goal, and was even designed to be served as a high quality in-flight meal for airline passengers.